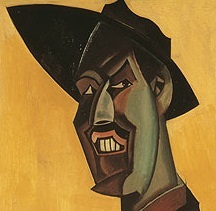 A complete critical edition of the written works of Wyndham Lewis will be published by Oxford University Press over the next ten years. The edition will run to some 42 volumes; will be authoritative, critical, and uniform, based on bibliographical investigation into the main archives; and will contain a full record of textual variants and revisions. The edition will trace the genesis, composition, publication, and reception of Lewis's prolific written oeuvre, explaining its cultural and intellectual contexts.